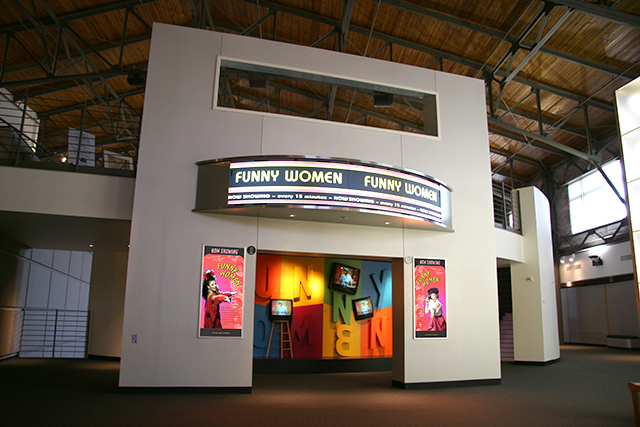 As one of the signature features of the Women’s Museum, Whirlwind created the Funny Women Theater. Through a presentation of multiple monitors against a whimsical backdrop on stage, serious issues were delivered in the context of comedy. 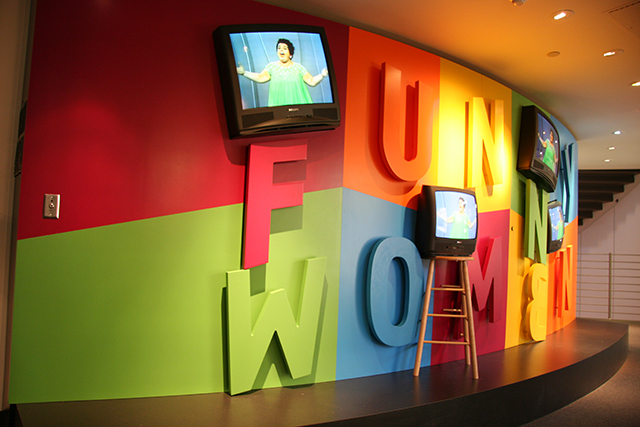 Comedians like Lilly Tomlin, Tracy Ulman, Lucile Ball, Eatha Kit never failed to bring smiles or laughs to the men and women alike.